If you are looking for a cheap and nice accommodation in Yerevan, Rafael Hostel is the best choice! 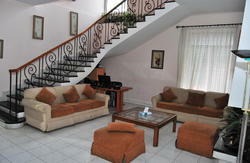 The beautiful and friendly atmosphere will make you feel comfortable and enjoy your stay. 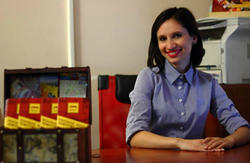 Our professional staff provides our guests with the best service and information during their stay in our hostel. We are situated in the center of the city. It is within walking distance from Republic Square and many sights of Yerevan. The Hostel is close to metro, bus and microbus stations. There are many shops and supermarkets closeby. Rafael Hostel is clean and has all the facilities needed. The rooms are light, spacious and have comfortable beds.The Hostel has a nice common room with a fireplace,where you can relax. Our guests can also use the big and nicely furnished kitchen. 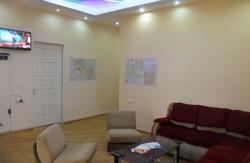 Rafael Hostel is located in the center of Yerevan city, on Khanjyan str. 39/5. In 10 minutes walk you will reach Republic Square. We are within walking distance to metro, bus and microbus stations.